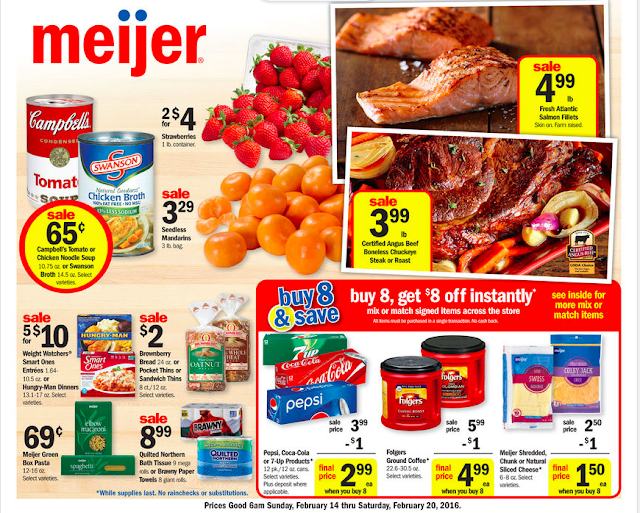 Meijer: ad preview starting 2/14! Buy 8, save $8 sale is back!! Exited for the sale next week! Lots of items included in the buy 8, save $8 sale!! WHAT ARE YOU EXCITED FOR?? Scroll below for some hot deals!